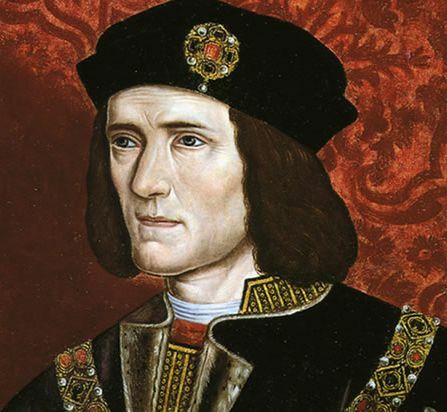 Richard III?? What on earth does a Shakespearean drama have to do with Czech music? Smetana spent some time (1856–61) teaching and conducting in Gothenburg, Sweden. During this period he wrote three descriptive orchestral pieces using the works of his mentor/hero Liszt – inventor(?) of the tondichtung (tone-poem) – as his musical model. Admittedly there’s nothing particularly Czech about them, but they are really fine examples of the genre. The three were: Richard III (the play had recently appeared in Czech translation); Wallenstein’s Camp, based on the first part of Schiller’s trilogy of plays about the Bohemian general Albrecht von Wallenstein, and Hakon Jarl (Hakon Jarl was a 10th century Norwegian king). So, this week we take to Bosworth Field with the last of the Plantagenets — anyone seen my horse? This entry was posted in Orchestral, Tone Poem and tagged Hakon Jarl, Richard III, Wallenstein's Camp. Bookmark the permalink.